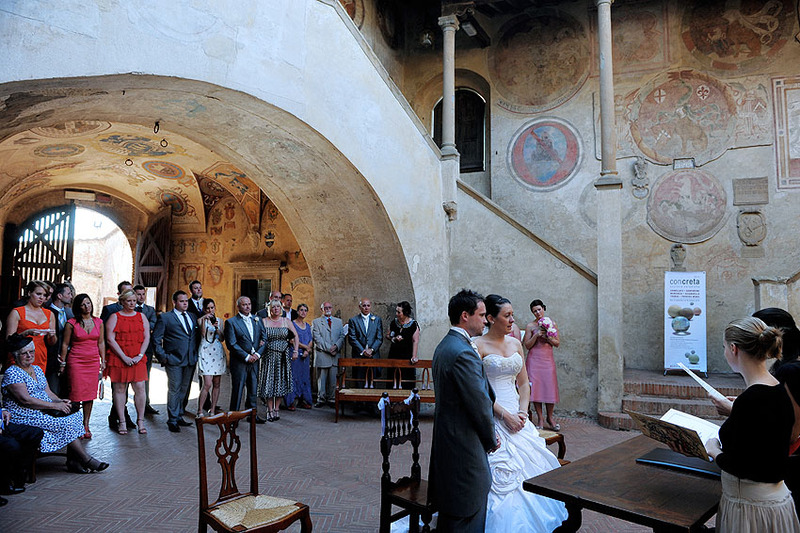 Should you choose to be legally married in Italy, Wedding with a View can organize your Forwal Civil Wedding ceremony in the magnificence of historic Italian town halls in the beautiful cities and countryside or coast and countless other beautiful destinations. These Italian cities’ town halls are centuries-old palazzos, most still boasting original frescoes and other distinct architectural details, and furnished with charming traditional antiques. All civil wedding ceremonies are performed in Italian by either the town’s Mayor or Mayor’s delegate, while an interpreter simultaneously translates the vows and other proceedings into English or your preferred language. 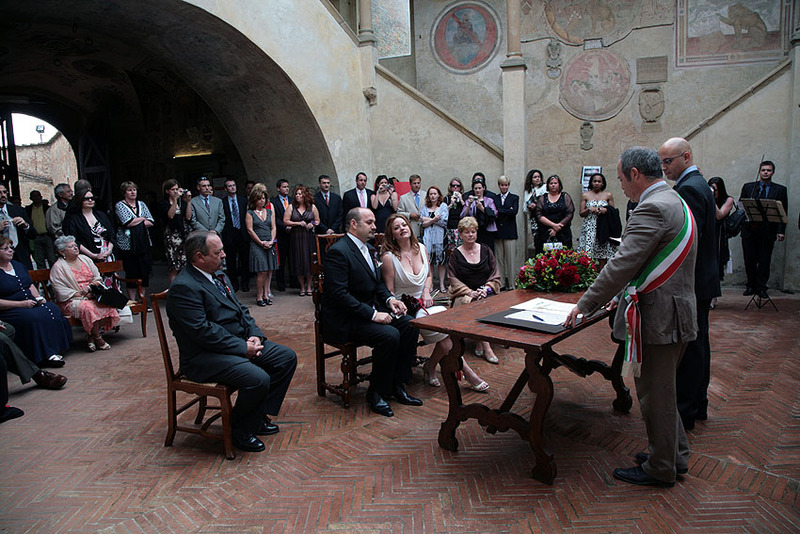 A civil wedding in Italy is legally binding in any country abroad recognized by the Italian government. 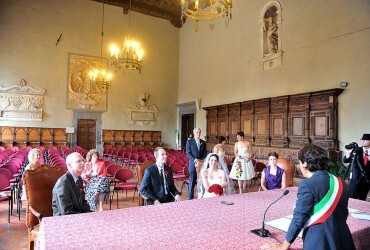 Paperwork is required and procedures are different from country to country. 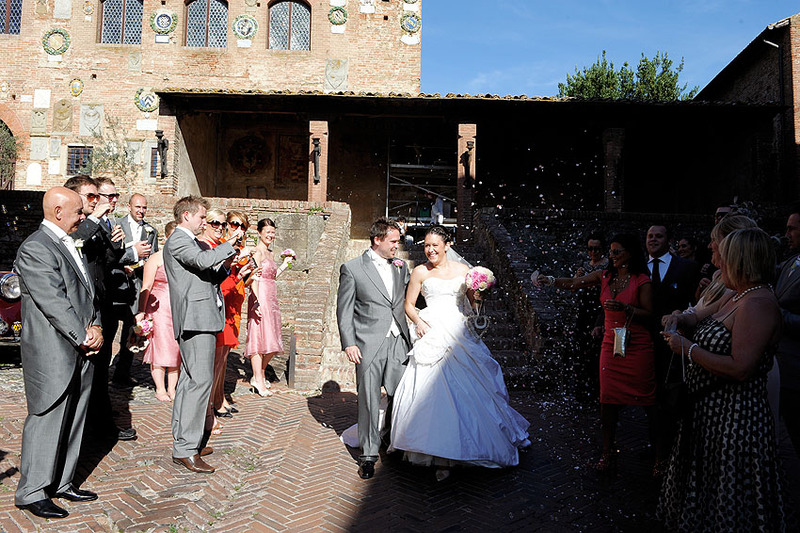 A typical ceremony can last up to thirty minutes, with the bride, groom and their witnesses signing the wedding documents at its finish. 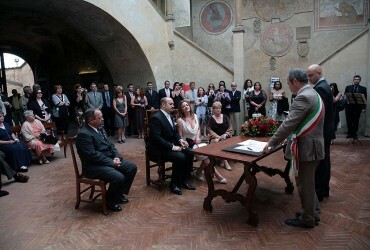 After any such civil ceremony, you are considered legally wed in all of Italy! If you wish a civil ceremony can be combined with a Religious Ceremony. 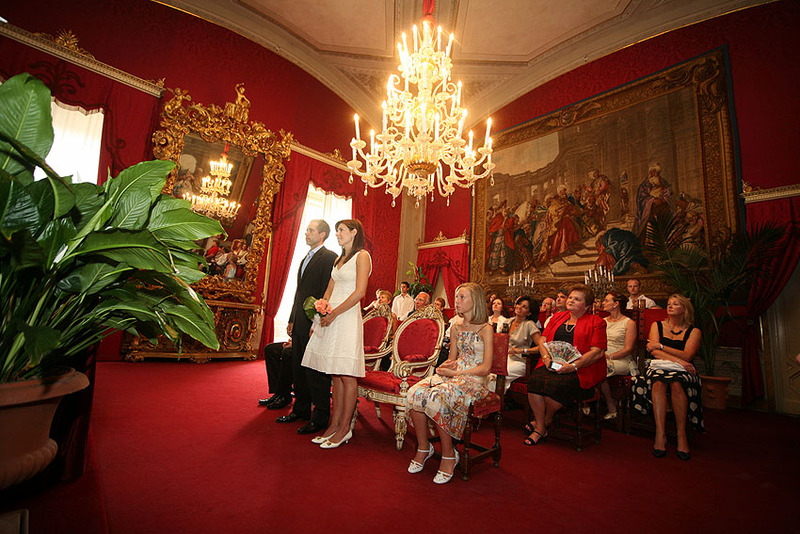 In this case all religious documents and procedures must be followed and prepared.